Charge, store, secure and transport up to 20 devices. 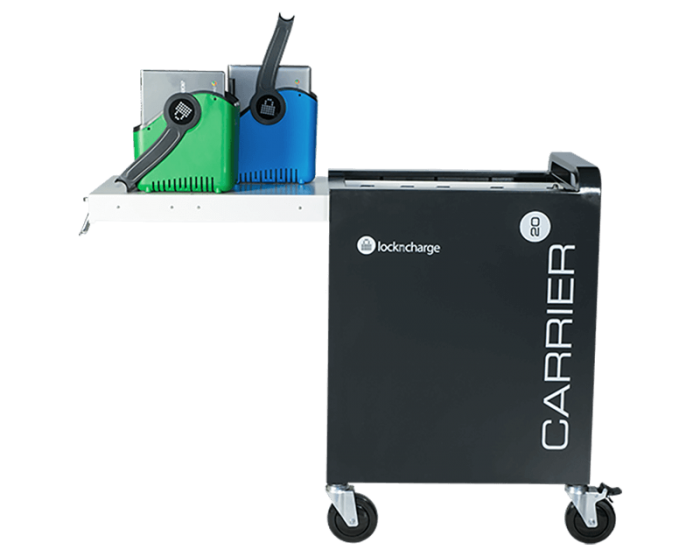 The Carrier 20 Cart is designed to make life easier for small to medium sized Chromebook, Tablet and iPad deployments. Style meets functionality. For better workflow, the Carrier 20 features a top sliding lid so devices can be accessed faster, easier and by more users at once. Efficient charging. 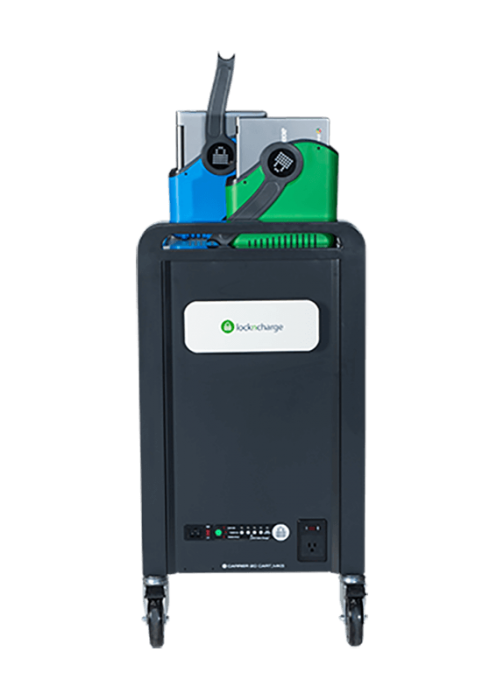 With ECO Safe Charge, the Carrier 20 Cart charges devices safely and efficiently by staging the availability of power to each bank of devices. Additionally, a remote control is included so that the Cart can be turned on from almost anywhere. Device Rack into the Cart’s storage area. The Rack is designed to accommodate up to 17” Laptops. Secure soft closing, sliding lid. Doubling as an additional workspace, the soft closing lid can hold up to 44 lbs of additional resources when extended.